Jewelry cases offer a wide range of jewelry display; they are diverse and they come in all sorts of shapes, sizes, designs; they are created in order to accommodate and display any kind of jewelry item. Their styles vary from retro, vintage, antique to modern, futuristic or simplistic designs. They are made to fit in any type of jewelry store and their target is to beautifully display your products before your customers. They are available in plenty of sizes in order to fit everywhere around the store or in the window display case. Jewelry cases can be gorgeous products of manual craftsmanship or pieces of intricate and captivating designs. They are made of many materials in order to fit all sorts of environment. All of them are elegant, one of a kind and they strive to present all sorts of jewelry in an attractive way for each customer and passer by. Jewelry cases are definitely one of the most customary and common spread manner of displaying pieces of jewelry. They can be utilized for various exhibition sets so they will beautifully decorate your jewelry store as well. In addition to that, they can be just as well used at home for your own personal needs. Jewelry cases are a gorgeous and widely various method of showing off jewelry items. All sorts of jewelry can be accommodated in these jewelry cases, from small and tiny ear studs, pairs of earrings, rings, to larger and heavier items like bracelets, necklaces, tiaras and so on and so forth. These are professional and efficient manners for the display of jewelry and they are all designed in order to provide an efficient, time and space saving presentation of your beautiful products. They are all combinations of gorgeous design and class with intelligent organizing and compartmentalization, thus making them a very convenient and reliable item in any jewelry store and not only! Countertop display cases are a customary display case in any jewelry store. They come in various sizes but they are most of the time really spacious so that they can easily accommodate and display a large number of your products. They are upright and they are most usually rectangular shaped. They are completely transparent in order to provide a clear and accurate view at your items of jewelry. 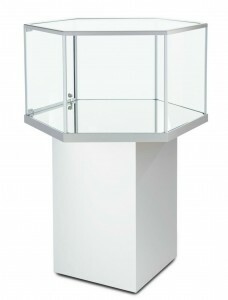 This type of display case is ideal for a more varied exhibition, so you will be able to display all sorts of jewerly, from rings and earrings to tiaras, necklaces and so on. It is roomy, see through and it offers a convenient and really useful manner of displaying various kinds of jewelry in one place, therefore it is very space-efficient as well. Countertop display cases represent one of the widest spread ways of exhibiting jewelry. Table top jewelry cases are a smaller and more compact version of countertop display cases. They are available in smaller sizes so that you will be able to easily place them upon any table, counter, vanity and so on. Given their size, they will be accommodated with ease in any jewelry store window display. They are also see through as well. They come in many shapes, most of them geometrical such as rectangular, square, hexagonal, octagonal and so on. This type of jewelry cases can present an entire jewelry exhibition, regardless of the form of the jewerly piece. They are ideal if you’re trying to offer a more accurate look at any item of jewerly. In addition to that, they also don’t take up much space, so they are the perfect way to display jewelry in an efficient and smart way. They are all equipped with numerous shelves in order to easily organize your products. Jewelry shadow boxes are a lovely and fascinating manner of displaying jewelry. They feature framed cases that are more than ideal to be hung up against a wall. They are beautiful and one of a kind and they provide a gorgeous look at your items of jewelry. They can be small, medium sized, or large sized and they are available in various colors. They are organized in shelves in order to arrange your products more efficiently. Jewelry shadow boxes are ideal if you intend to go for a more elegant look in your store as they offer a special kind of grace and class. The frames ca be either simple or they can be embroidered with beautiful and attractive patterns and motifs. Shadow boxes are a gorgeous and stylish manner of presenting items of jewelry everywhere around the store and they will surely be noticed and admired by every customer. 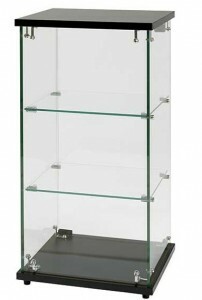 Tower Display Cases offer an imposing and enticing way of displaying jewelry products. They are mainly tall and they are equipped with numerous shelves. They stand upright and they are available in diverse shapes and colors. Tower cases are ideal if you’re looking for ways to attract everyone’s attention. They are striking and they have a certain presence that will draw everyone towards them and therefore admire your items of jewelry. They come in many sizes so you will be able to place them in the window case of your store or anywhere around the store. They are fully transparent so they will provide a clear and exact look at the products. 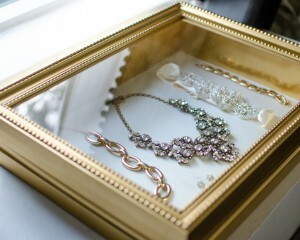 They can accommodate any type of jewelry and they will beautifully display them. They can present futuristic or minimalistic designs or they can offer a simple yet classy design; either way, they are a grand and impressive manner of exhibiting jewelry. Jewelry Pedestals are a unique and attracting way of presenting items of jewelry before your clients. They come in many shapes, sizes, designs and colors. They stand upright and they can accommodate all sorts of jewelry and they are lovely additions for any jewelry exhibition set. You can readily place them on any counter, vanity, dressing table or in the front window display. They can be rectangular shaped, triangular shaped, square shaped and so on. They are more suitable for the display of smaller sized items of jewerly such as pairs of earrings, rings, brooches, or for the individual display of jewelry. Given their name, they usually provide an impressive and captivating view and they will definitely catch every customer’s or passer’s by eye. Jewelry pedestals’ main aim is to present your jewelry products in a striking and interesting manner in order to attract anyone’s attention and admiration towards your products. 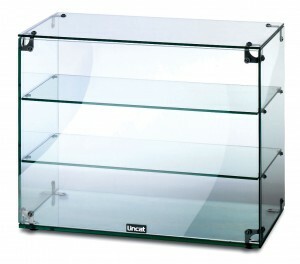 Jewelry display cases made of acrylic are usually completely or partly see through display cases. They are meant to offer a more accurate and clear view of the items they are displaying. Acrylic is in a way preferable to glass as there are not as many chances of its breaking into shards, therefore risking damaging the items that are being displayed. Acrylic based display cases are very light and they are equipped with many shelves usually; in addition to that, they also have reflective qualities so they will beautifully glimmer whenever the sun shines upon them. They are very easy to handle to and manage and they provide an efficient, simplistic yet elegant and attractive presentation of your jewelry products. They are ideal for any kind of surrounding and they would blend in with all types of inner decoration with no problem, given their neutral and minimalistic look and design! Glass based jewelry display cases are a classy and definitely customary manner of displaying items of jewelry. Jewelry display cases made of glass offer a special kind of grace and elegance to the items they are presenting. They are probably the most common material that jewelry displays are made of. There is a wide range of jewelry cases made of glass, from jewelry boxes to displays with multiple shelves. They are definitely very wide spread and they provide a dainty and attractive look. Any store’s window display will probably look even more elegant with several glass bases jewelry cases. They are efficient, enticing, lovely and useful. In addition to all that, jewelry display cases made of glass material are also rather resilient as the glass is thick enough in order to sustain possible damage and to keep your products safely stored. This kind of jewelry case is undoubtedly a must have for any jewelry store. Glass top jewelry display cases are a gorgeous, elegant and exquisite way of displaying and presenting your jewelry products. They usually represent all sorts of boxes and cases that feature a lid which is framed with glass material. The glass is entirely transparent in order to allow an accurate and clear look into the box, therefore efficiently exhibiting your items before all your customers or any passers by (thus they are ideal for the display of jewelry in the window case of the store). They frame various types of boxes of diverse design, style, color and shape, so they provide a wide range of display and they are perfect for all sorts of environmental decoration. Glass top jewelry offers a delicate, fine and classy presentation of various types of jewelry; their variety of style and design makes them a beautiful and original manner of displaying all of your jewelry products. 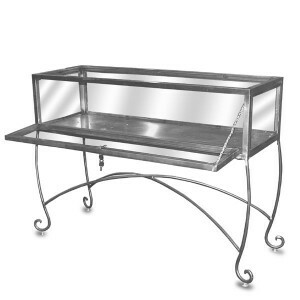 Jewelry cases made of metal offer a truly reliable and sturdy manner of displaying your jewelry. They have a strong and unbreakable constitution that is ideal for the exhibition of heavier or larger items of jewelry. Metal based jewelry cases are either stands and supports with intricate and beautiful metalwork or they can feature lovely and interesting racks or tree display, or many other shapes (such as animal shapes or floral shapes). Their metalwork is undoubtedly a gorgeous and astonishing piece of craftsmanship that will beautifully decorate any environment. They are wont to attract anyone’s attention given their genuine look and their dainty design. They are strong and resistant yet they offer an elegant and breathtaking style and pattern. They are beautiful and unique works of art that will surely display each one of your jewelry items (from pairs of earrings to bracelets and necklaces) in an enticing and classy manner. Wooden made jewelry cases are by far the best way to both display your items of jewelry and also keep them safely stored as well. Those come in a really wide variety as they can be simple yet stylish supports or stands, intricate and beautifully carved jewelry boxes or any other kind of jewelry case. Plenty of wooden jewelry cases are handmade so they feature a more one of a kind design and style. They provide a certain kind of strong elegance and sturdy looking storing. They are perfect for any jewelry store that wants to go for a DYI or handmade look or for elegant and retro or vintage designs. Wooden made jewelry cases are definitely more resilient throughout time so they are also a very smart acquisition. They shed a new and interesting light upon all the items they are displaying and they are undoubtedly a beautiful token of elegance and style.